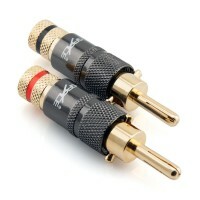 This premium selection of Banana Plugs and Spade Terminal Connectors would make the perfect addition to your audio system. 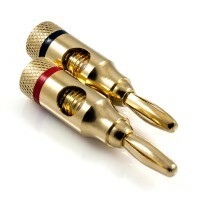 Using this type of speaker connector will ensure that your speaker cable is terminated perfectly and held securely in place. 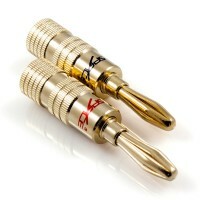 Each connector is precision engineered and features a high quality finish with 24k gold plating. 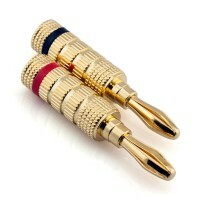 This will ensure that a strong, crystal clear audio signal is delivered at all times. 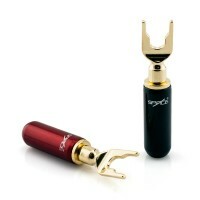 As each plug is inserted completely into the speaker binding post, the audio system will receive the highest quality signal due to the fact that the connection surface area will be as great as possible. Not sure how to install Banana Plugs? Our Banana Plug Installation Guide provides step by step instructions.